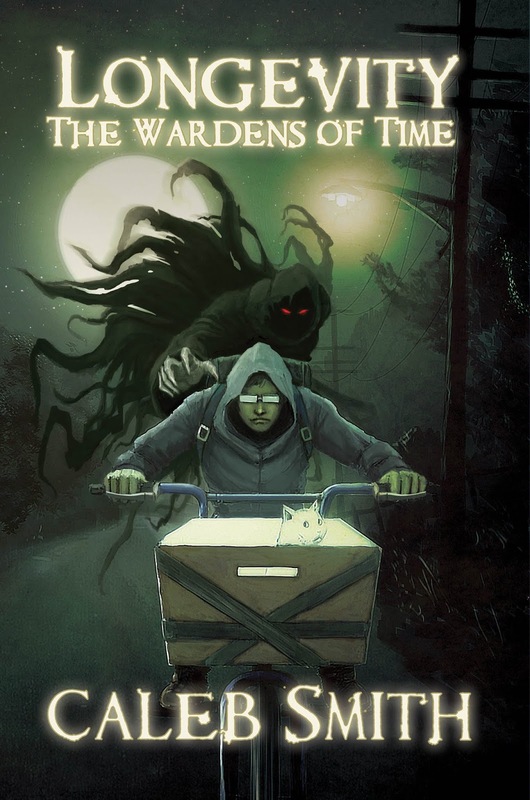 This week's featured author is Caleb Smith from Bangor, ME and his YA Paranormal Fantasy novel Longevity: The Wardens of Time. 1. What message are you hoping people will receive when they read your book? It is my hope that the viewer receives a fresh fun ride through the world of fantasy reading. These stories are all about taking the warranted eyes scanning the pages, off to another world. To create a rolling picture in their mind made of magic. 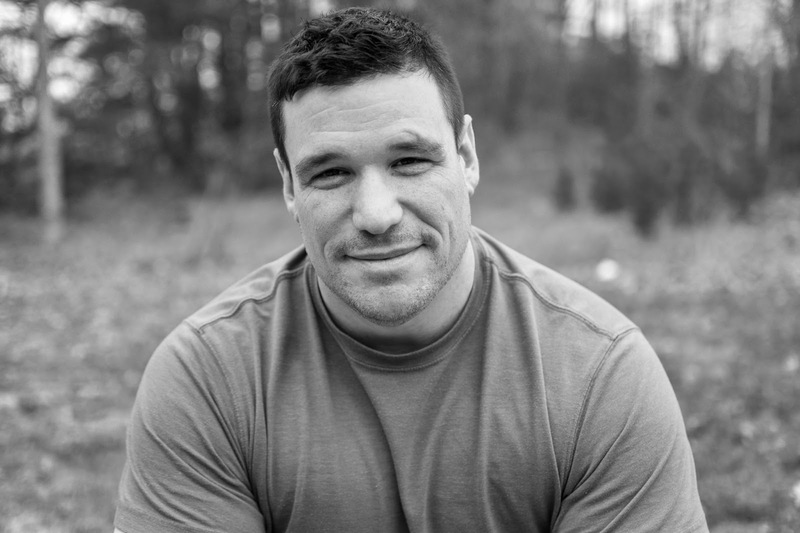 The lessons in this story I think are also important including the topic of bullying, facing one’s worst fears, and fighting to prevail through our deepest challenges. I think the book wrote me. It invited me to catch its essence and disperse it to the world, I couldn’t resist. I think the story has always been there, it’s just my way of telling it. It spoke out to me and I listened, then recorded what it had told me. 3. What has been the hardest part of the publishing process? Since this is my debut novel, I have learned a plethora of importance when it comes to publishing a title. It’s a lot of nonstop work so you have to be in love with what you are doing in all phases of the process. Marketing and promotion have been the toughest hurdle. It’s long tedious work that has taken some time to understand, as well as learning by trial and error. Paying attention to what doesn’t work all the while staying positive and believing that you are creating the biggest story of its kind for the world to see. Keeping a healthy state of mind at all times and accepting rejection as it comes is challenging as well. 4. What has been the biggest (pleasant) surprise in your publishing journey? I was pleasantly surprised when I found out that my story was going to be produced into an audio format. Listening to someone read your words feels pretty incredible. 5. Give some advice to someone who wants to get a book published. First, ask yourself what are you looking to get out of it? If it’s not to inspire and do good for the world then reconsider. Writing is an everyday part of learning and practicing and reading and researching and experimenting and if you’re not 100% in love with it, then it will only reflect in your work. 6. What’s the worst advice you have ever received about publishing? That I would never be able to release the same book with two different publishers. 7. What author or book has influenced your writing? In the novel I am currently working on, I think George MacDonald’s Phantastes has been a huge influence on the world of classical fantasy. 8. What is your philosophy about rejection? Rejection is a healthy part of the process. It serves as a great reminder that life is but a rollercoaster peppered with peaks and valleys. It is in the valleys where we discover our strengths and will to rise. Adversity is a natural part of life. It’s the manner in which you react that makes the difference moving forward. 9. You are stranded on an island with only 3 books. What are their titles? This is a loaded question but here we go! 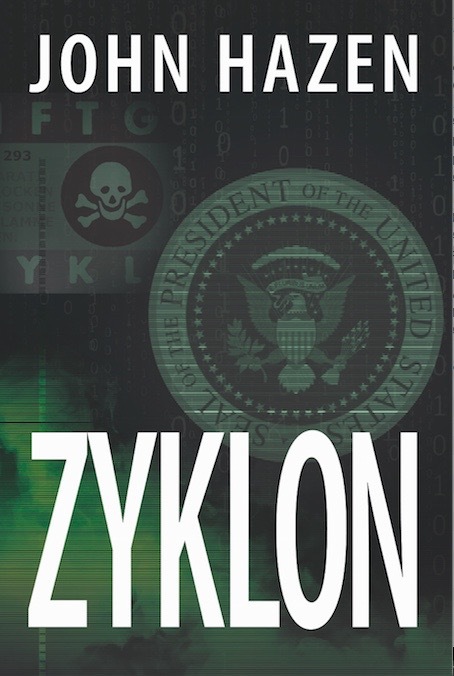 This week's featured author is John Hazen from Riviera Beach, Florida and his thriller novel Zyklon. 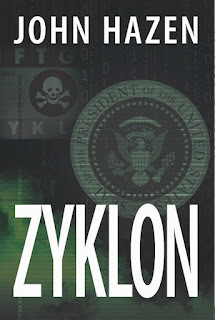 People who read Zyklon should walk away with a profound appreciation for the value of the press in a free society. The book revolves around two national stories that are on a collision course. If NYC journalist Francine Vega does not act, the resulting crash could rock the nation to its core. In these times, the message of a free and independent press can never be overstated. I constantly go back to Supreme Court Hugo Black’s famous line: The free press was to serve the governed, not the governors. I hope I’m able to impart this message. Other than the message in Question 1, this book is a sequel to my novel, Fava (which, by the way, was named one of the 18 Best FBI Thrillers by Best Thrillers https://bestthrillers.com/the-best-fbi-thrillers/ ). I fell in love with the characters from that book, namely the main character, Francine Vega. She’s a resourceful, intrepid New York City TV reporter who has a way of digging up the big stories. She still has tales that need to be told and so I wrote this book. I also wrote this book because I’m also a lover of history and wanted to tell a story that highlights how the voices of the past can influence us today. In this case, the victims of the Holocaust speak to us so loudly that they can influence a presidential election. Most definitely it’s been the promotional part of the process that is most difficult for me. I’m an introvert by nature so it’s an effort to promote my work. I always hope that the books will speak for themselves, but I know they need help on my part. That’s why I especially appreciate outlets like these for me to talk about my work. It’s been the friends I’ve made, primarily on Facebook, that I never would have met if I hadn’t embarked on my writing journey. I’ve gotten close to a number of our Black Rose Writing colleagues—writers like Tracy Ball, John Vance, Mary Ellen Bramwell and you—that I otherwise never would have known except through my writing. It’s also been special when people I don’t know write nice things about my books. You expect great reviews from friends and family but there’s no better feeling than when you get praise from out of the blue. Probably the most meaningful review I ever received was for my book Dear Dad (http://amzn.to/1VYgo2Z ), which is about a soldier in Vietnam. Having not served in that war, I was nervous about whether I got it right. So, when I got a review that read ‘As a Vietnam War veteran I particularly related to this story’ I felt I nailed it. 5. Would you write a sequel to your book? Why or why not? As a matter of fact, I’ve started the next sequel already. A New York City television reporter who teams up with her FBI Special Agent husband is a great combination and I envision a number of storylines that involve them. There’s no way I could ever be as prolific as James Patterson but I do see Francine Vega as being an Alex Cross-type character. 6. What author or book has influenced your writing? I have always been a fan of John Steinbeck, having read a number of his books but most notably The Grapes of Wrath. I think what strikes me most about his books, and something I hope I could emulate is the way that he addresses global issues through the most common people you could ever imagine. 7. You are stranded on an island with only 3 books. What are their titles? My all-time favorite book is To Kill a Mockingbird so that book would have to be one of the three. For the other next I would pick Les Miserables by Victor Hugo. It is the ultimate story of redemption that is timeless. There are so many candidates for number 3 and it’s difficult to narrow it down to one but, if I had to, I would go with The Source by James Michener. He does such a great job of telling story after story that is weaved together with the history of the region. I read it many years ago and a number of the tales from that book are still vivid in my mind. The main person I write for is myself. If others like what I write, that’s great. If they don’t, if they reject me, oh well. It’s not going to stop me from writing. 9. Do you have a day job? What is it? I retired in 2017 from my job of 32 years with the New Jersey Department of Environmental Protection so I’m not at the moment in a day job. Now, I’m a man of leisure who tries to fit in writing when I can.